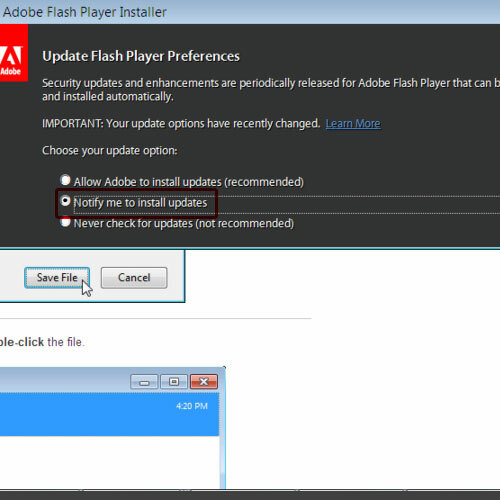 In this tutorial, we will teach you how to update Flash Player in Windows. Follow this step by step guide to learn how to upgrade your flash player. 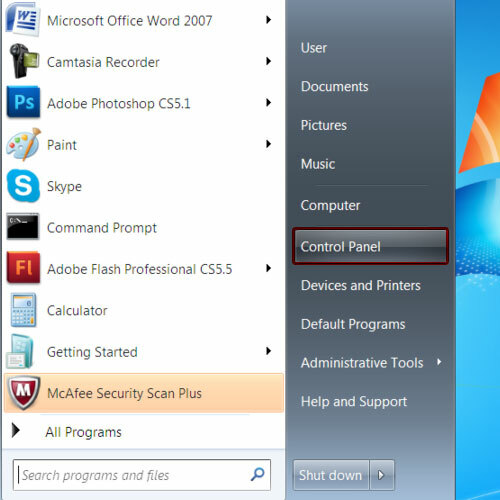 First of all, go to the start button and from the start menu, click on the control panel option. 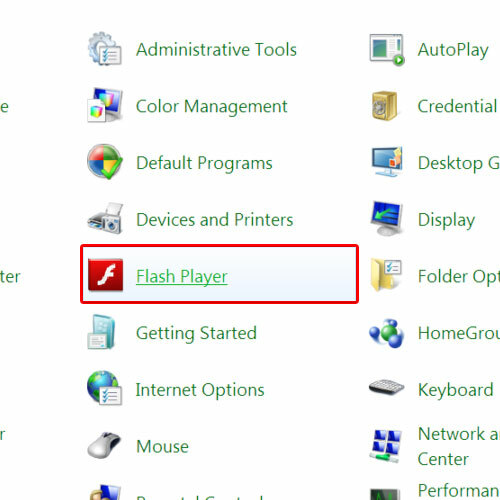 You will find flash player in the control panel if you have it installed on your computer. Simply click on it in order to open the flash player manager. 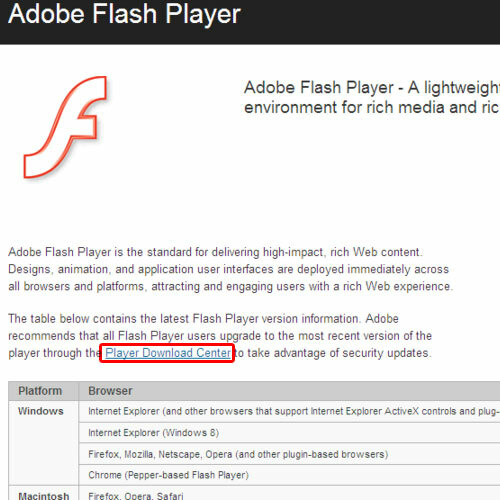 As a result, the adobe flash player web page will open up in your default browser. Once the web page loads, click on the player download center option. From here, you’d be able to download the flash player update for windows. In the next page, you will be displayed with your system information and details about the flash player. 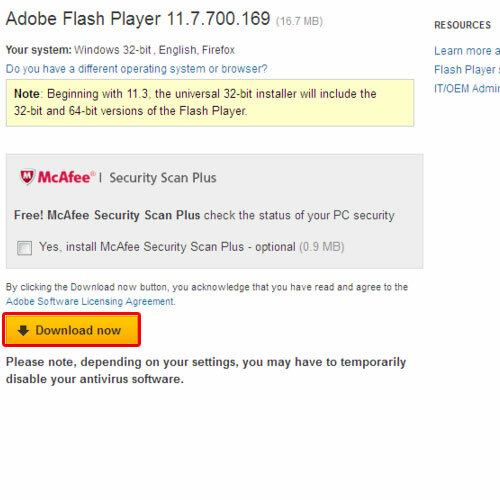 For the purpose of this tutorial, we will uncheck the optional McAfee Security scan as we just want to install the flash player. Once you are done, click on the download now button. In this manner, you will be able to download the flash player update for windows. A new web page will open where you can see the screenshots of the installation. A dialog box will appear on your screen. Click on the save file button to download the exe file. Once the download has finished, click open it. You might be given a security warning when opening the exe file. Click on the run button to proceed with the installation. 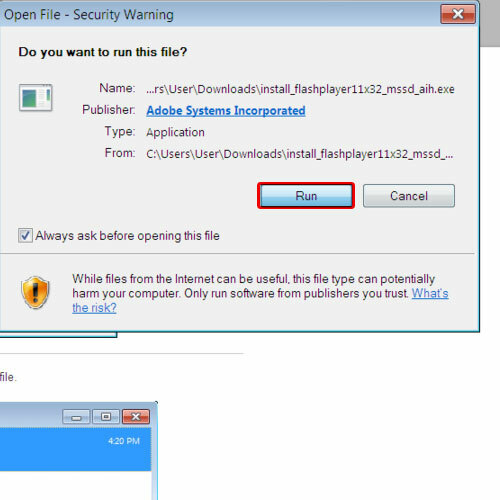 As a result, the Adobe Flash Player installer will open up. It will take a few moments to initialize. You can then choose one of the update options. For the purpose of this tutorial, we will select the “notify me to install updates” option. Once you are done selecting, click on the next button to continue further. As a result, the downloading will begin. You can monitor the progress of the download here. Once the download has completed, go to the control panel and open flash player from there. In the flash player settings manager, go to the advanced tab and you will be able to view the flash plug-in version that you just upgraded to. In this manner, you can update the Flash player in windows.